… is a newly founded Facebook-page that concentrates on the other side of football, the side that doesn’t concern rich owners, all-seating stadiums and massive rises in ticket price. This other side is about the romance of football, that is the community aspect to it, the underdogs that surprise everyone, the team that never wins but plays anyway because they love it etc. Here is an example of the latter, linked by Ruud van de Graaf, the founder of “The Romance of Football”. Ruud will also be joining us and hopefully we’ll see a few blog posts from him in the future. The world seem to know a little about Russian football. You may know that Samuel Eto’o plays in Anzhi Machachkala, about Zenit and CSKA and what ridiculously high wages the players and coaches receive there. But what if we will look to the east, behind Ural mountains, where Siberia is laid? Its riches: oil, gas and coal, are in use of benefiting Moscow and SPb FC’s as Siberia itself gets VERY little impulse on football. Still, it is very popular there. And still, there are passion and love for the Game, and passion and love not necessary needs monetary help. And here’s a bright example of how passion and love makes impossible things. 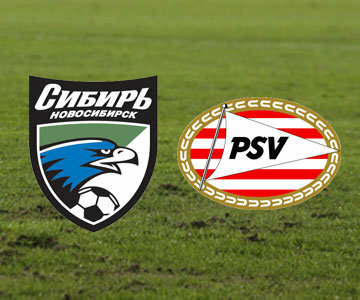 Since the draw for the play-offs round passed and it was announced that Siberia are to play PSV it was EXTREMELY HARD to get a ticket for the match so my uncle phoned his friends in Novosibirsk and we got our tickets among the first people. The pre-game coverage in Runet was enormous, the ground was full, and it was broadcasted live on federal TV sports channel. Something that happens very rarely on British TV especially SKY -they invite someone on air who undertands what has happened to Modern Football at the top level, Mathew Syed is a senior sports writer for the times. The purpose of this blog is to spread the word and philosophy of FC United of Manchester on an international arena. It is also a place where we will gather articles and videos about FC United from all over the globe. We want the page to be interactive in the sense that the readers can contribute with their own stories and give tips about articles and documentaries and such. NOVIAN on I’m on the top of the world!